Save £50 on a Yamaha soundbar on Amazon Prime Day | What Hi-Fi? There's a deal to be done - but is this the best way to spend your soundbar money? 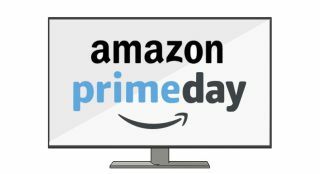 For Prime Day, Amazon is offering the YAS105 soundbar for a touch under £140 - on the face of it, a worthwhile saving over the £189 asking price. But is it worth it? Well, as we say, Yamaha has long been a front-runner where products of this type are concerned - and the YAS105 certainly seems equipped to bring some Yamaha know-how to your TV's sound. Two subwoofers, two mid/bass drivers, a pair of dome tweeters and a pair of bass reflex ports, powered by a total of 120 watts, certainly puts the YAS105 ahead of whatever your flatscreen has managed to cram into its slim frame. Bluetooth streaming and app control both add to the YAS105's flexibility, too. It's very hard to see a meaningful downside, in fact. Yamaha claims the '105 delivers '7.1 channel' sound - but in our experience products like this tend to just offer a burlier, more spacious version of your TV's sound without really being able to muster much in the way of a surround-sound effect. But as long as you keep your expectations in check we reckon this deal is well worth investigating further.